What caught our eye when we first viewed the R220 is it's programmable monitor - see more on this below. For a low-cost rower, it's really quite impressive! The seat is okay we guess, comfortable enough but nothing like the contoured and padded seats you'd get from a model such as a Concept2 - although of course that does cost more. 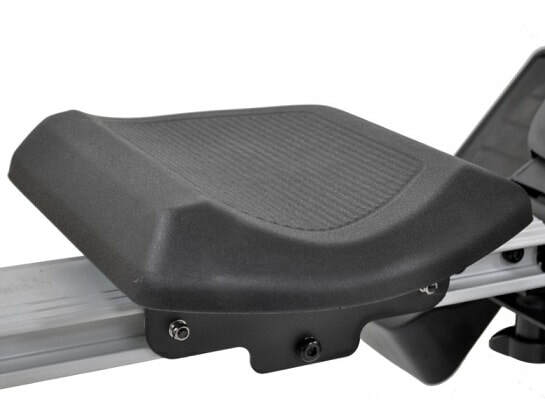 The footrests tilt adjust to the size of your feet, and tilt when you row so hold them securely in place. The resistance mechanism is magnetic meaning it's quiet and smooth but doesn't replicate the real feel of rowing in a boat. The purists may want to feel their on a boat, but to get fit this isn't a problem. The sixteen levels of resistance have a good range from high to low so you can mix and match your workouts. Note, the resistance doesn't have to be on the hardest level to give a good workout. in fact, working at a higher stroke rate on a lower resistance level will deliver a more beneficial better cardio-vascular session. The seat rollers ensure a smooth action up and down the beam, and are also quiet If you live in apartment and have neighbours to consider this is a big advantage. The performance monitor is what makes the R220 well worth a look at the price. 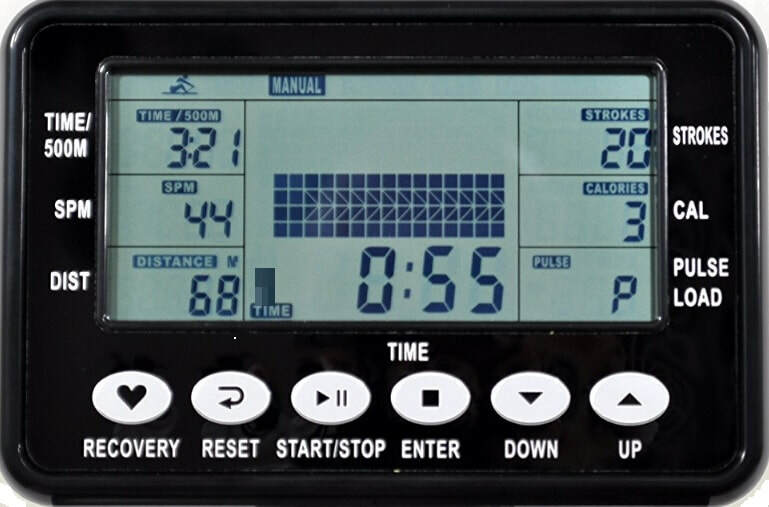 The large LCD screen ​displays pretty much everything you need to know about your workout - time of session, oar strokes, strokes per minute, distance, your 500-meter pace, your heart rate, and calories used (although this is only an estimate). The R220 comes with 12 pre-set programs. You select your workout and the computer alters either the resistance levels at intervals, or sets the stroke rate to match etc. Another bonus, it has four heart rate control programs. These are great for optimizing your fitness as you train in the fat-burning zone based on your heart rate. It doesn't come with a heart rate strap, but the monitor is compatible with a polar strap. 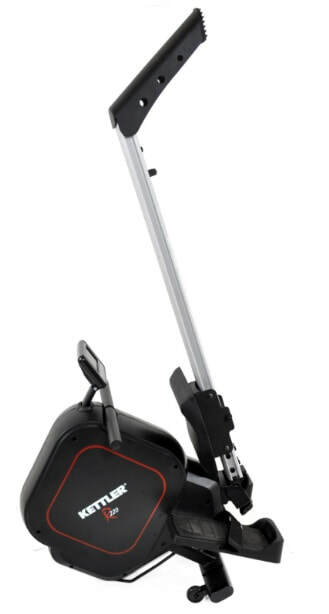 The Kettler R220 offers good value for money. While it's not one to set the senses tingling like a Waterrower or Concept2, it does have some great features for a machine at this price. It's quiet and compact making it ideal for an apartment where noise might upset your neighbours. The heart rate programs will help you get fit and lose weight if that's your goal. Not many machines in this price-bracket have this feature. 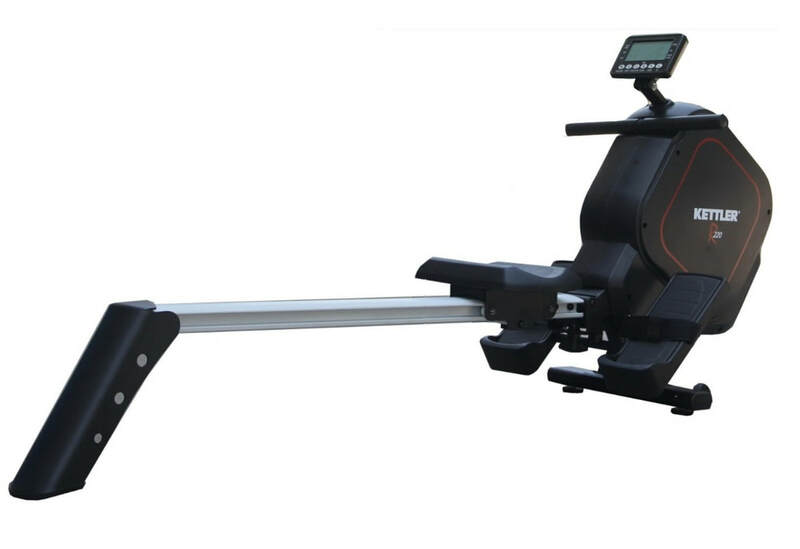 All-in-all, a good quality rowing machine at a great price. UPDATE AUG 2018: This model is getting harder to find, another alternative is the Schwinn Crewmaster. If space is an issue, the compact Stamina 1130 is an option with similar features, or the Crewmaster from Schwinn has some good feature for the price. As this is a new model we've yet to receive owners comments. Do you own a Kettler Stroker? What do you think?